Healthier chocolate mousse, who could resist? 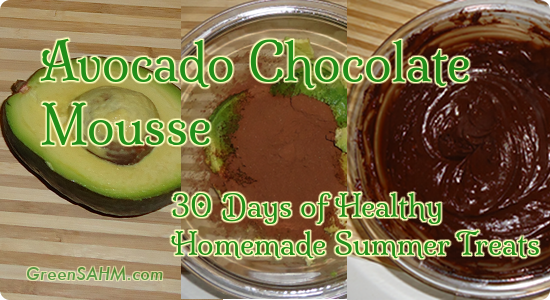 Some avocado, some cocoa powder, and honey if you need it. Very easy, very good. My son loves this. Peel and dice avocado. Place in bowl. Mash thoroughly. Add cocoa powder and honey. Mix together. Refrigerate.